On CUI configuration, Run PowerShell with Admin Privilege and Configure like follows. 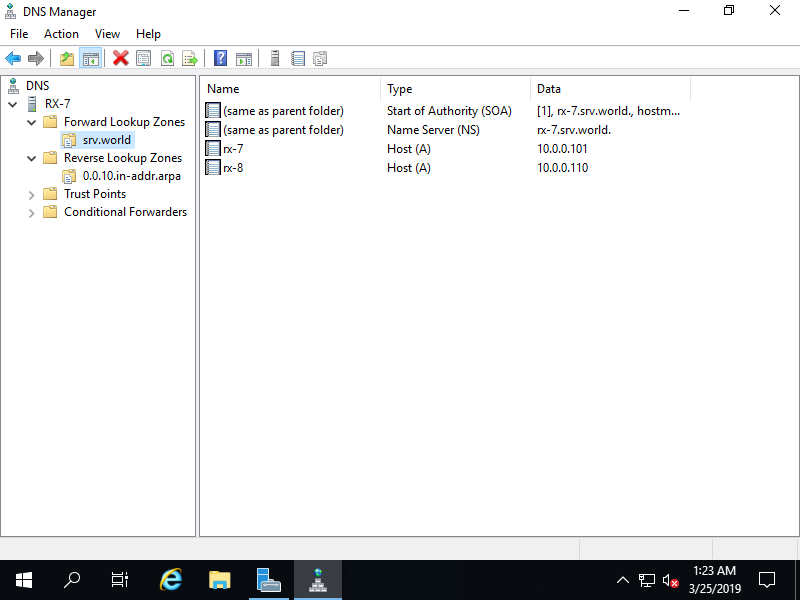 For example, Add A/PTR record with settings of hostname [rx-8], IP address [10.0.0.110] into a Zone [srv.world]. @        NS         2    0         01:00:00   rx-7.srv.world. On GUI configuration, set like follows. 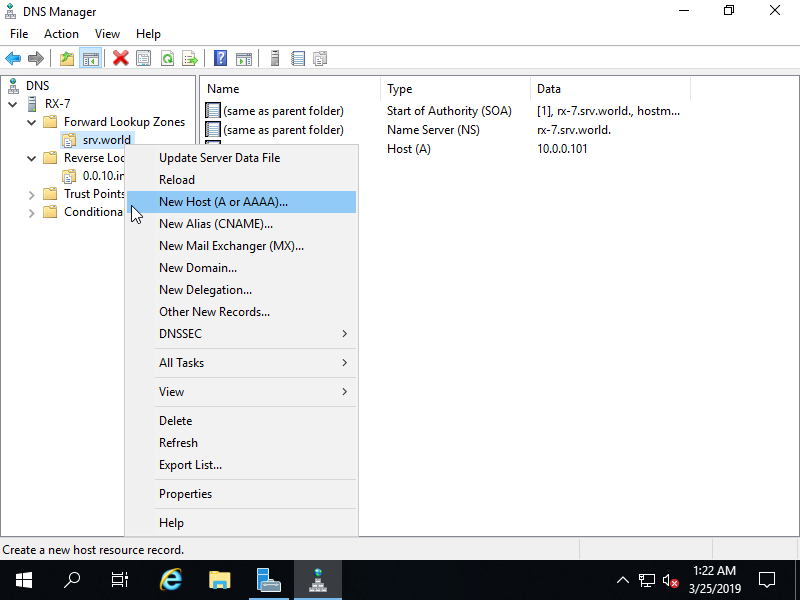 Run Server Manager and select [Tools] - [DNS], next right-click the own domain name to show menu on the left pane, then select [New Host(A or AAA)...]. 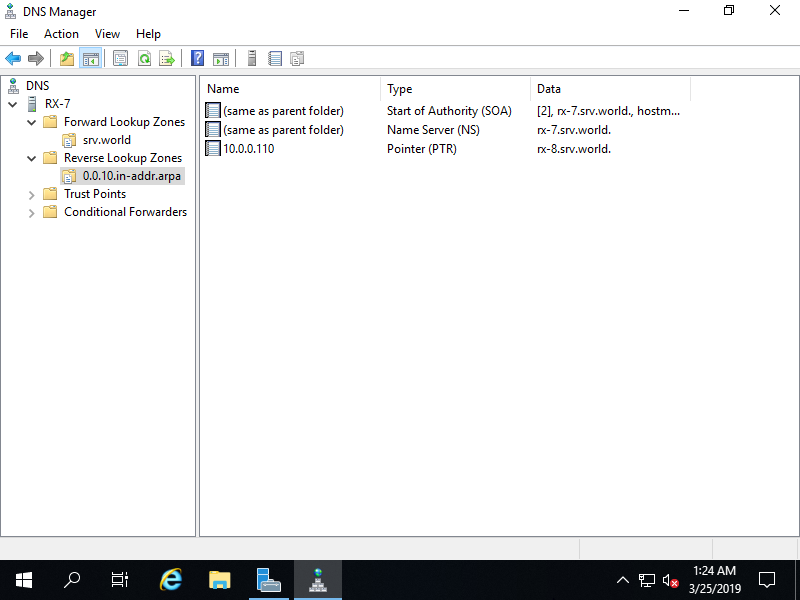 Input Hostname and IP address you'd like to add. Furthermore, check a box [Create associated pointer (PTR) record]. A new A/PTR record has beed just added.